In world-class biathlon competitions, biathletes need ammunition that can ensure fast and accurate shooting in challenging conditions. Lapua is proud to introduce the new Lapua Biathlon Xtreme cartridge, designed to meet the specific needs of biathlon competition. 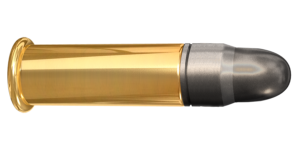 The Lapua Biathlon Xtreme cartridge uses a newly developed, temperature insensitive powder that functions in all biathlon conditions. The bullet’s special shape ensures reliable and easy functioning and together with the new powder it provides unbeatable accuracy and consistent velocities. During product development, the Lapua Biathlon Xtreme cartridge endured extensive laboratory testing and calculations as well as demanding field testing for function and accuracy by two of the world’s top biathlon teams.